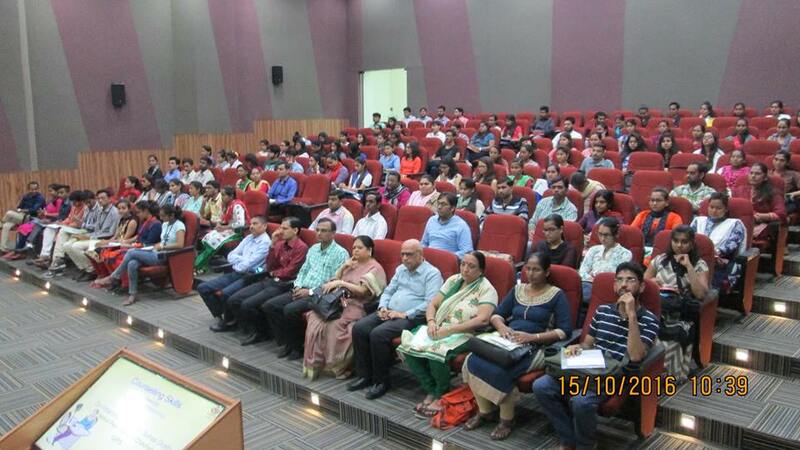 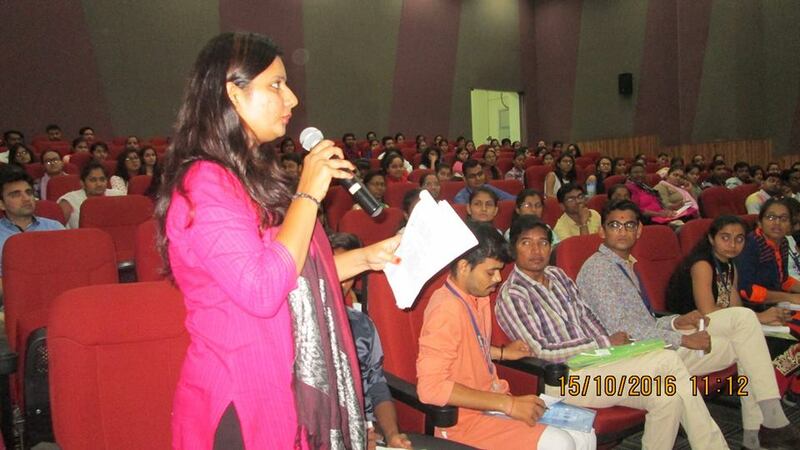 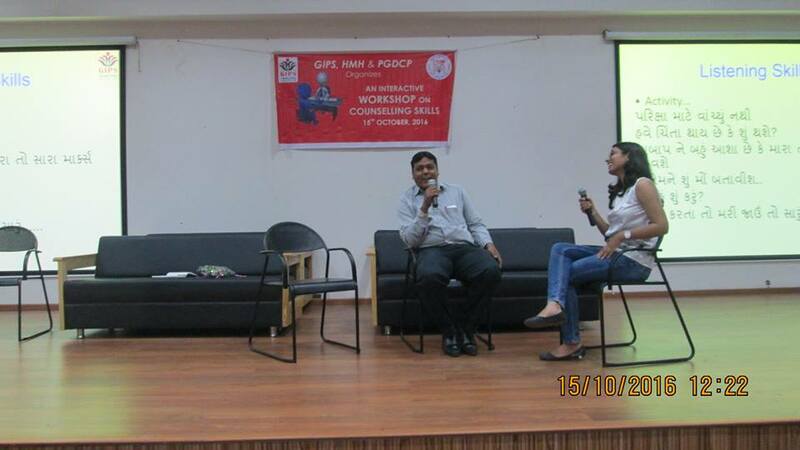 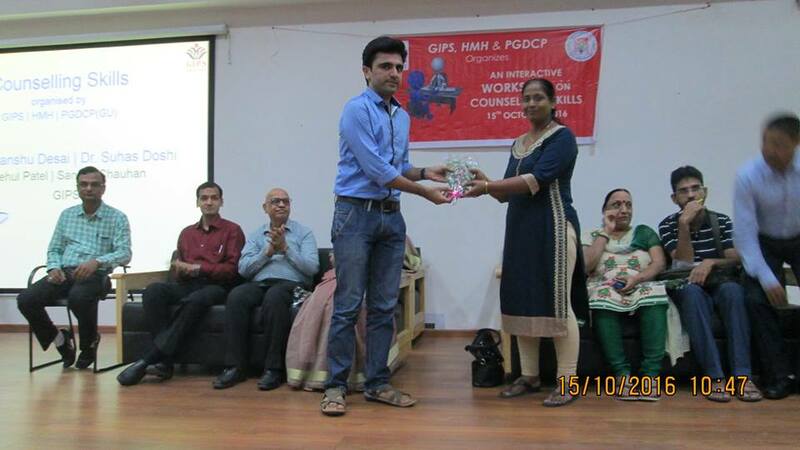 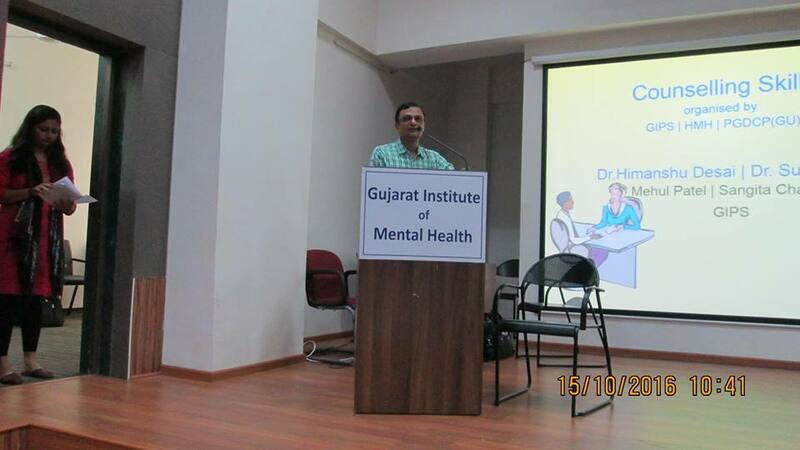 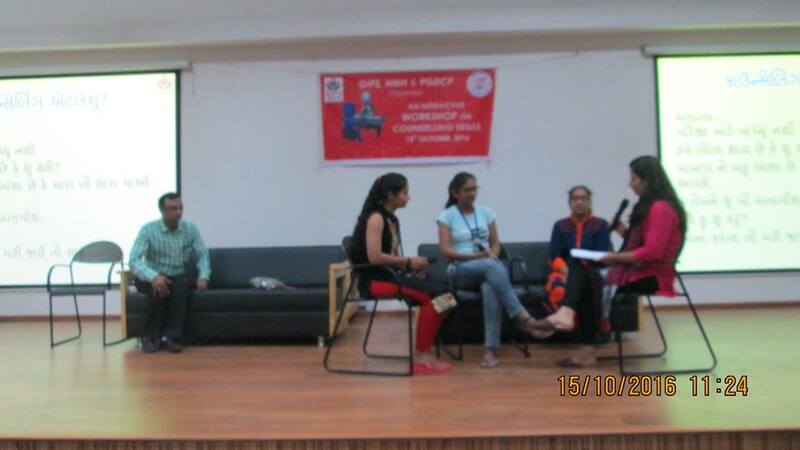 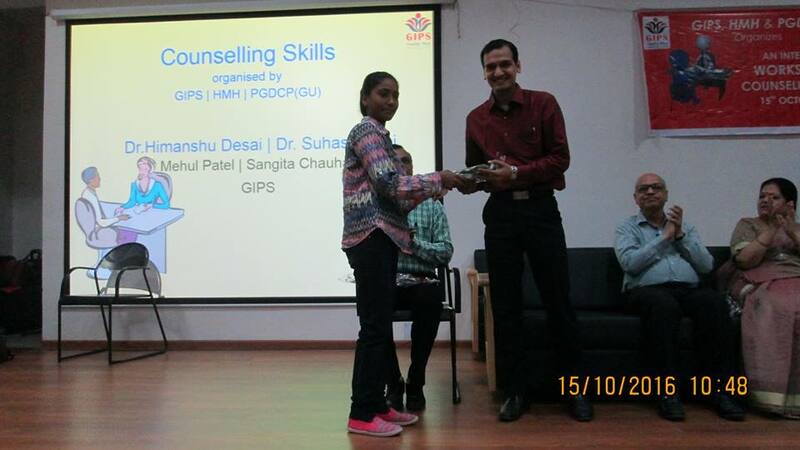 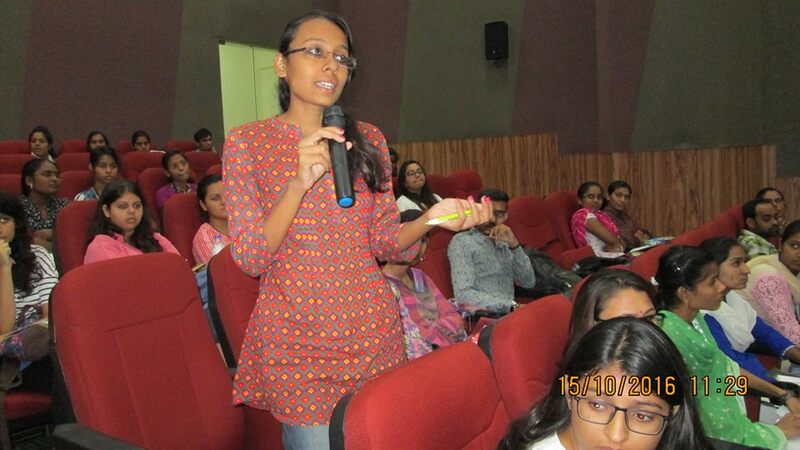 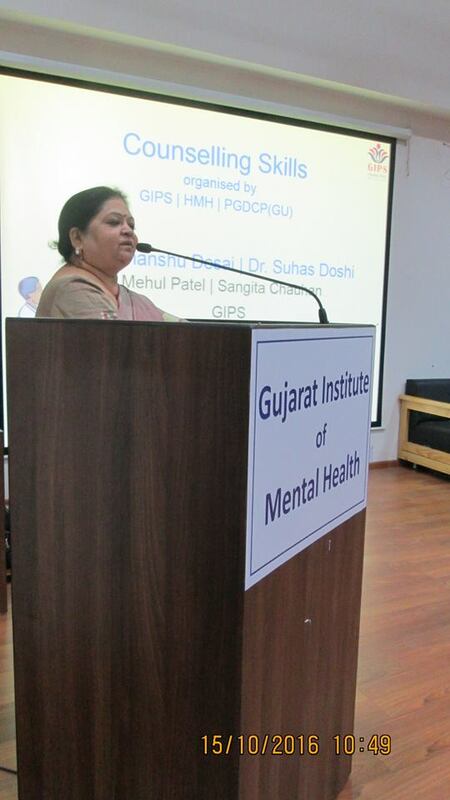 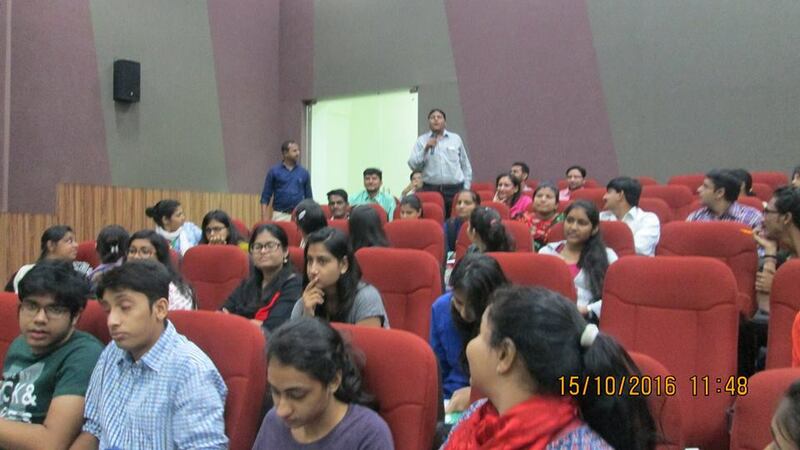 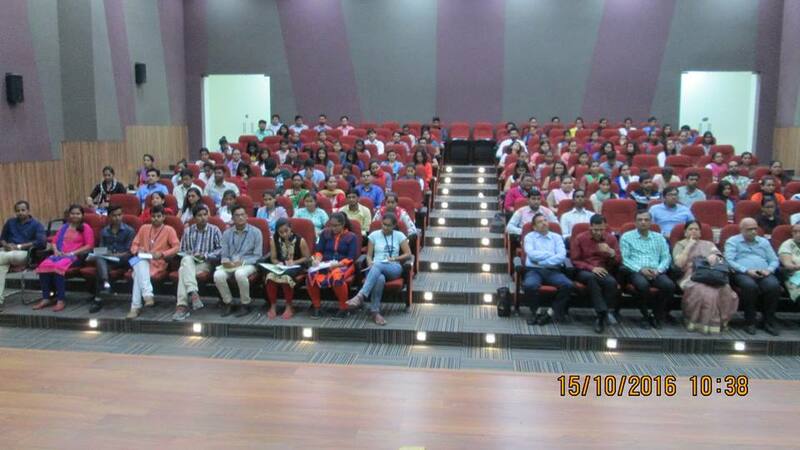 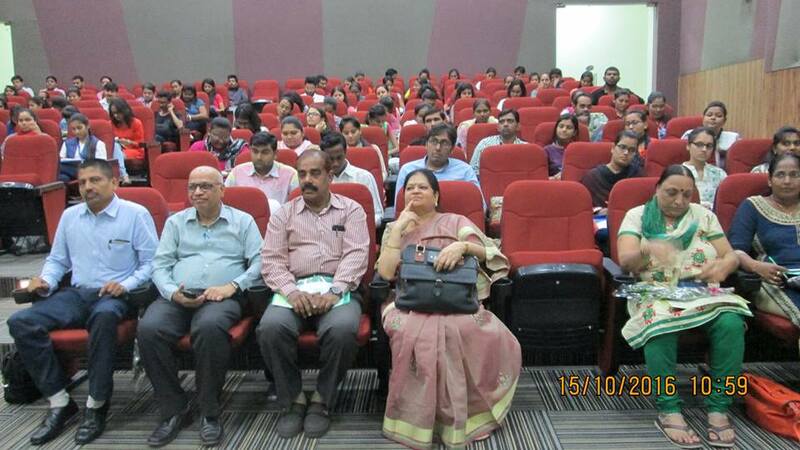 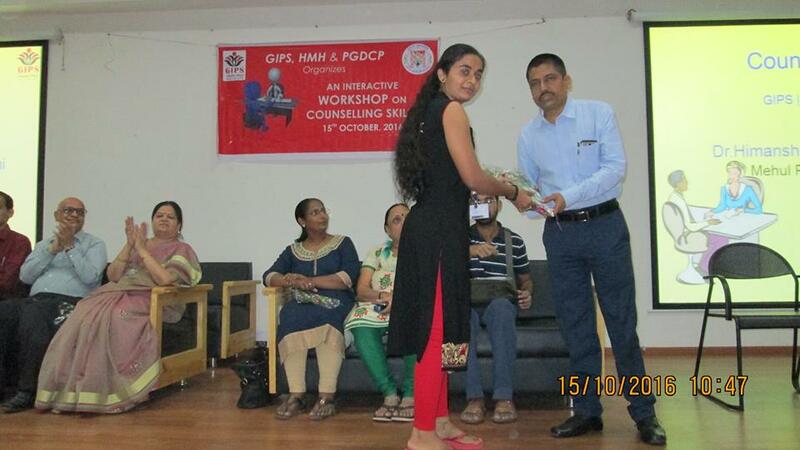 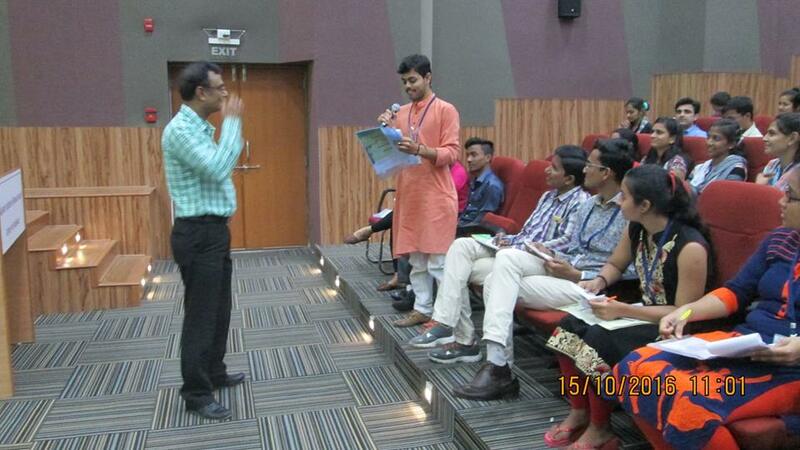 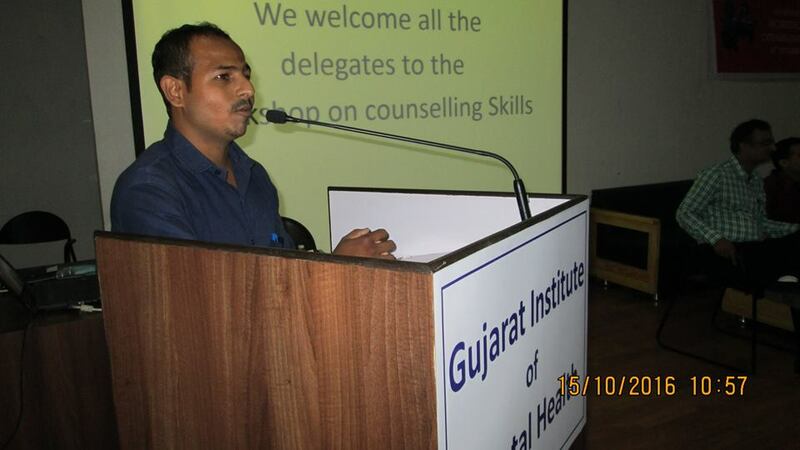 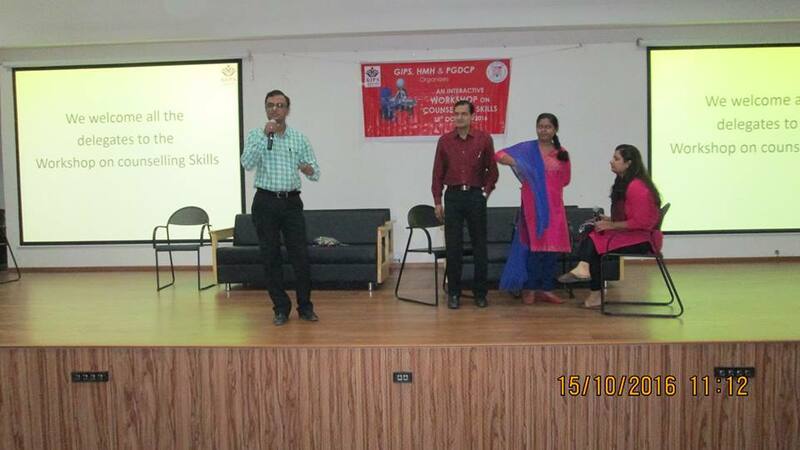 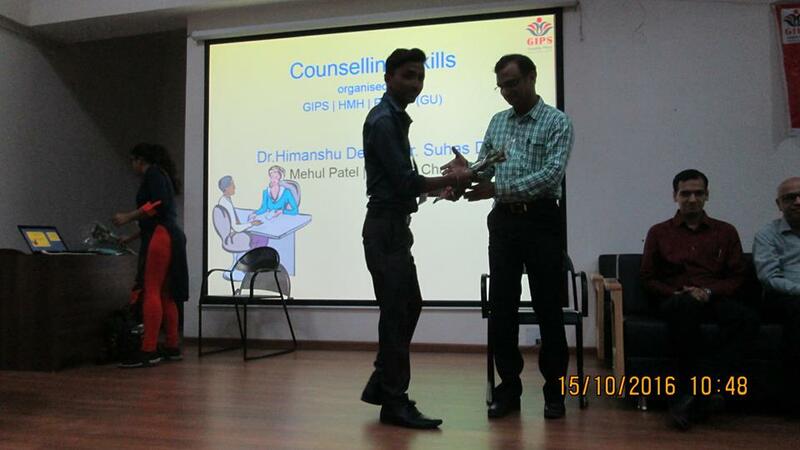 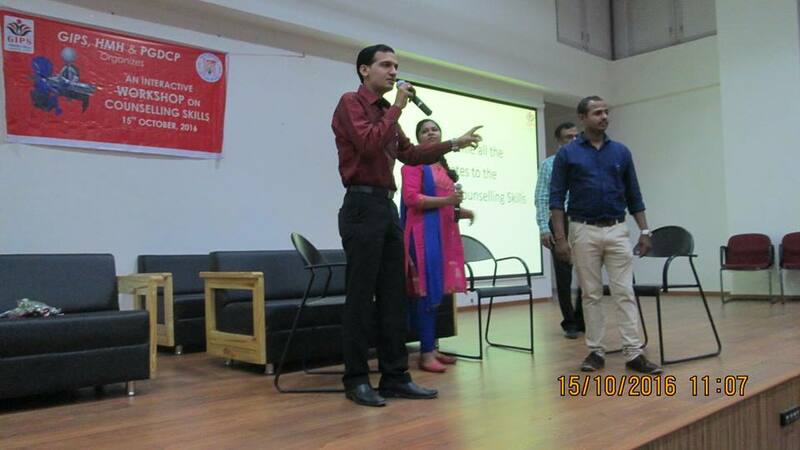 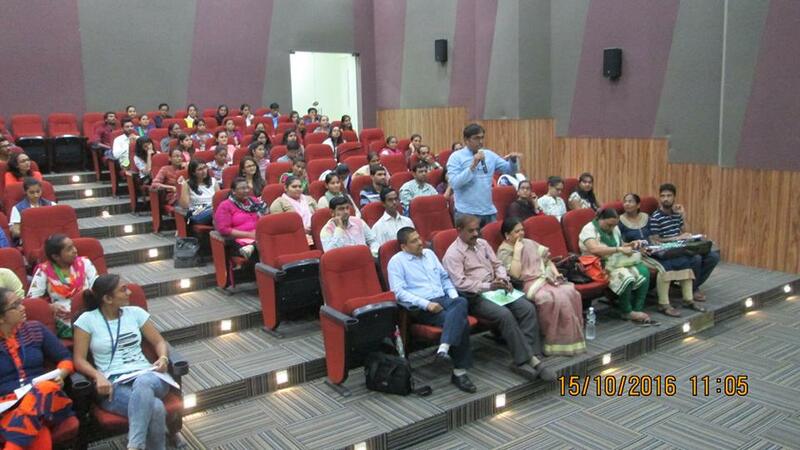 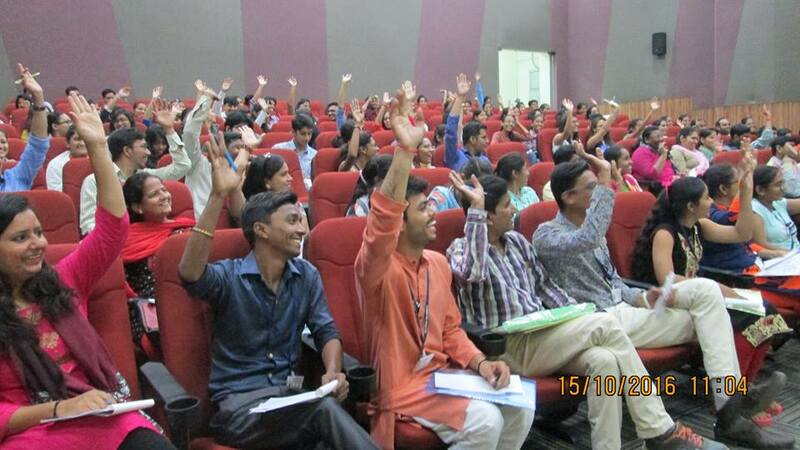 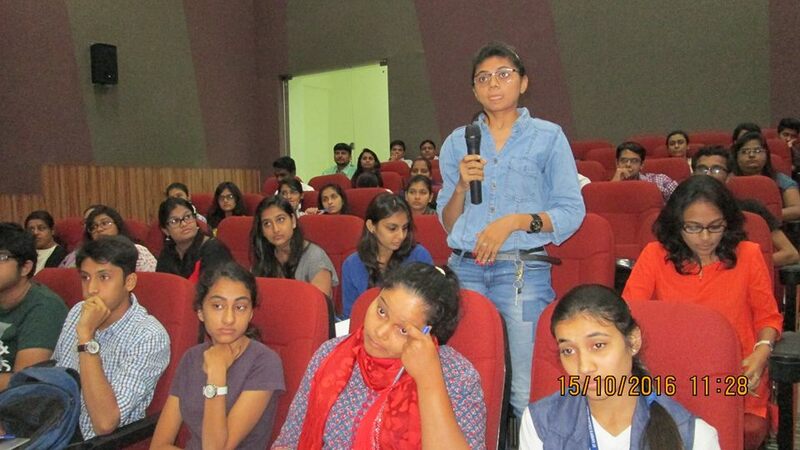 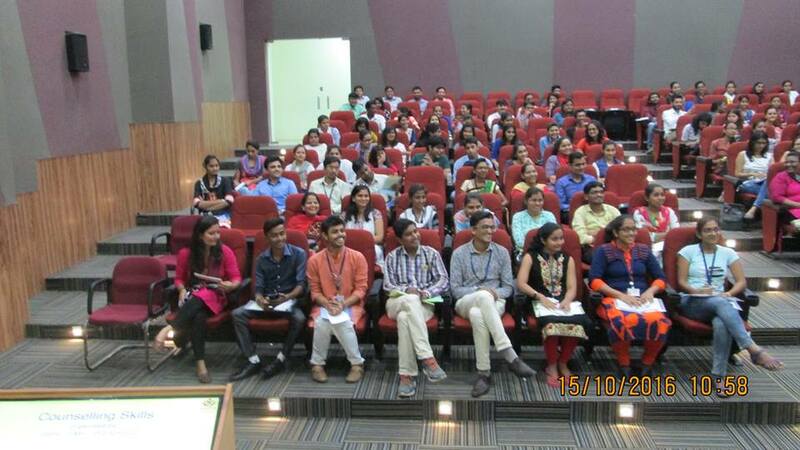 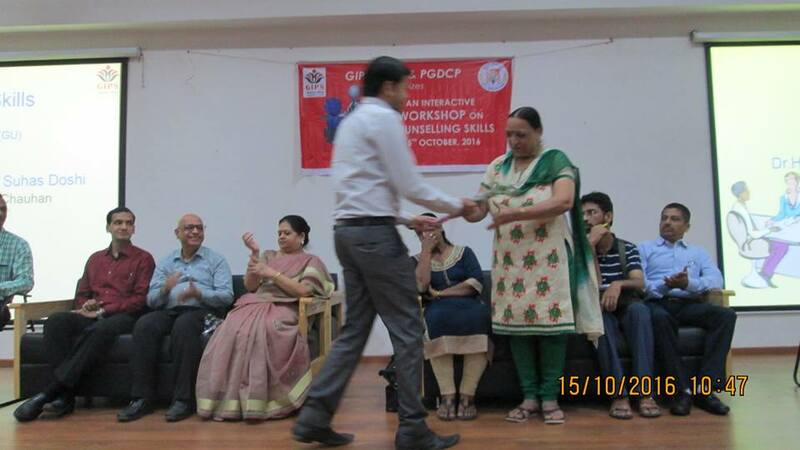 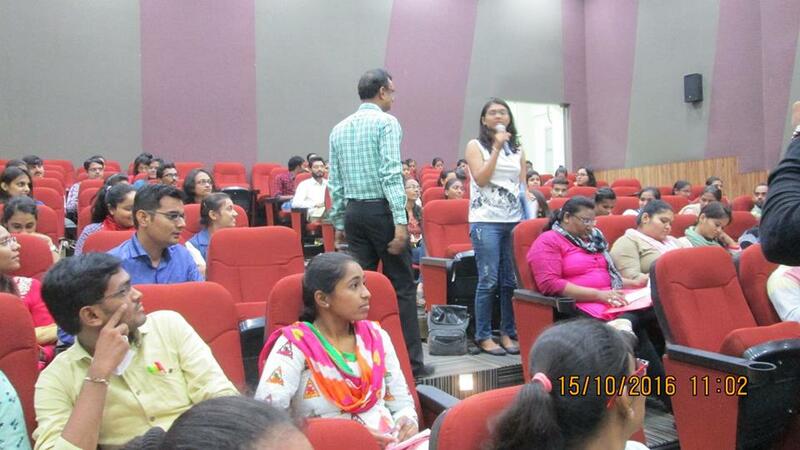 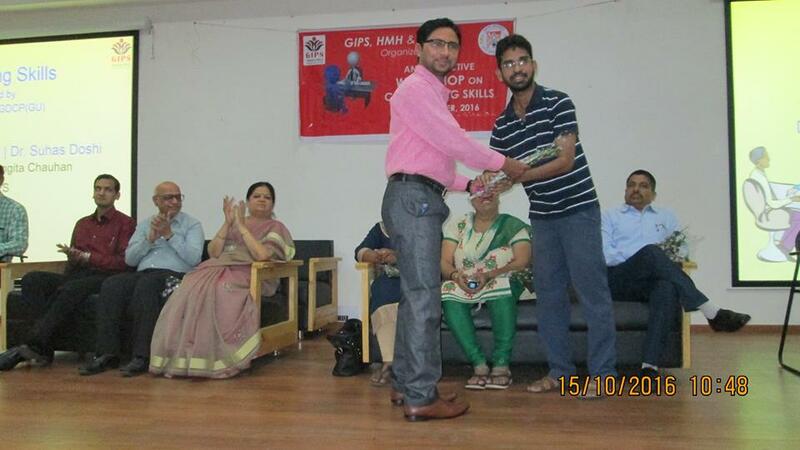 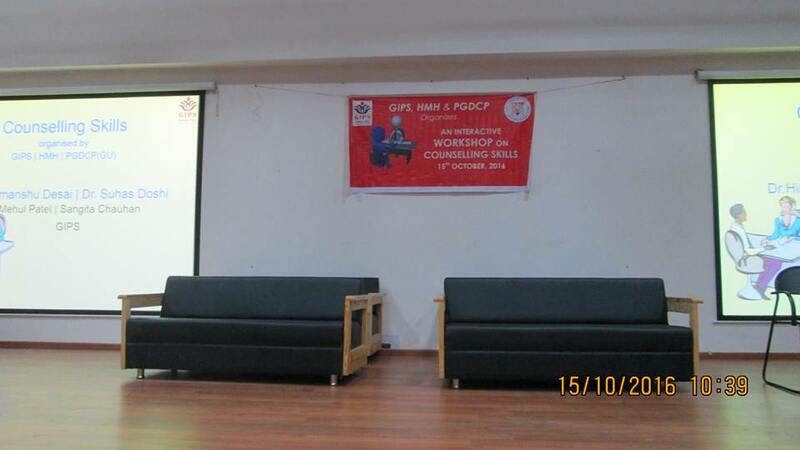 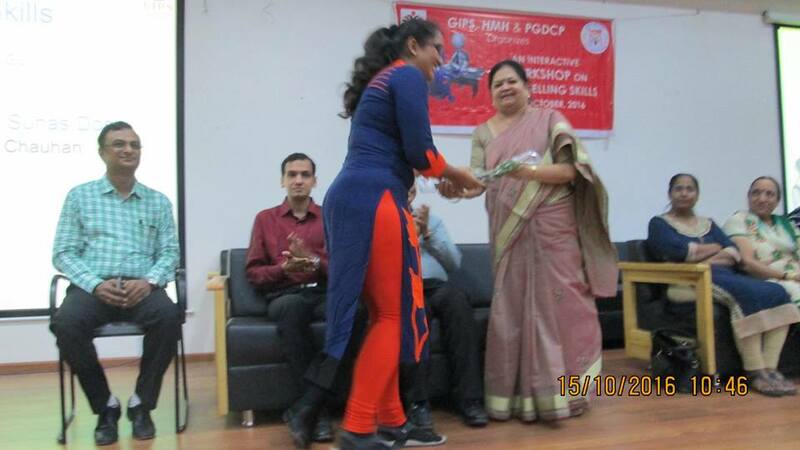 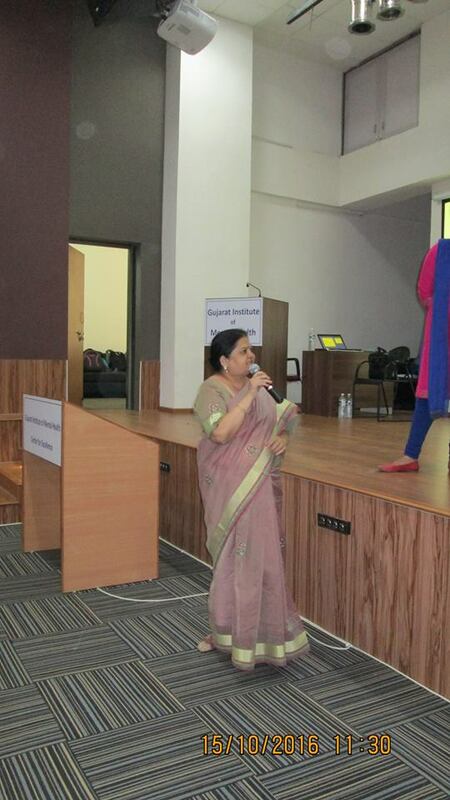 Workshop on Counselling Skills at Hospital For Mental Health, organized by GIPS, PGDCP (Gujarat University) and HMH. 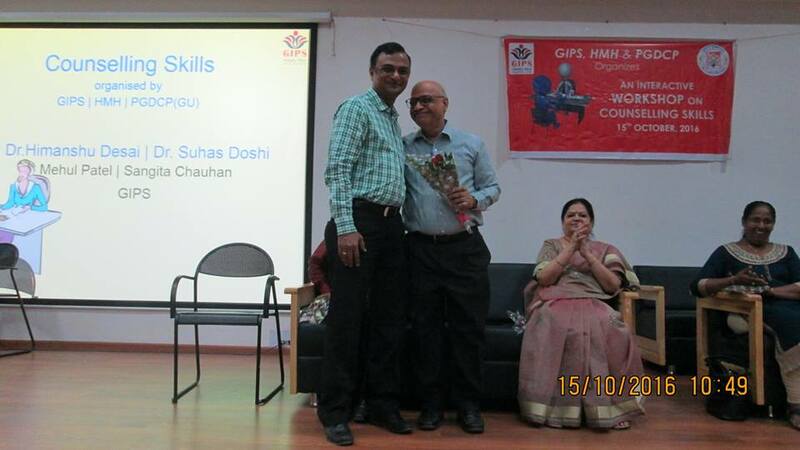 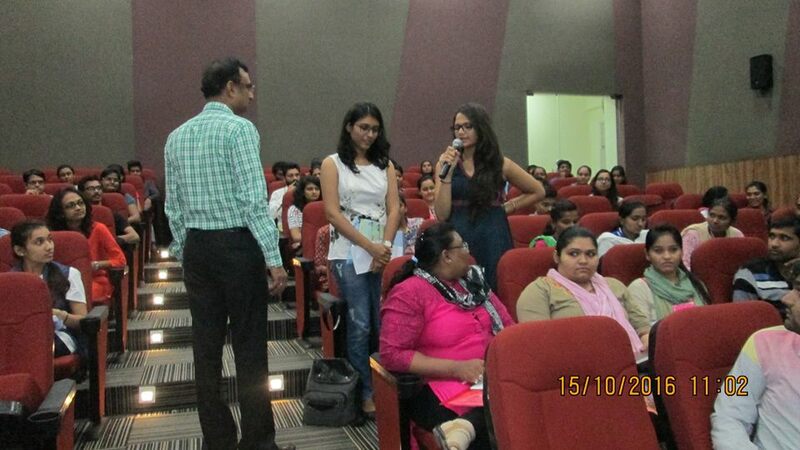 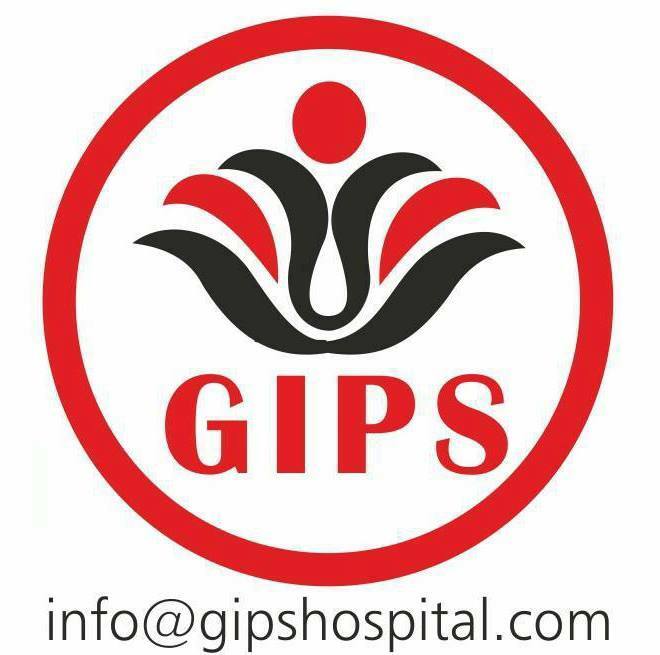 It was conducted by Dr. Himanshu Desai , Dr. Suhas Doshi Director GIPS. 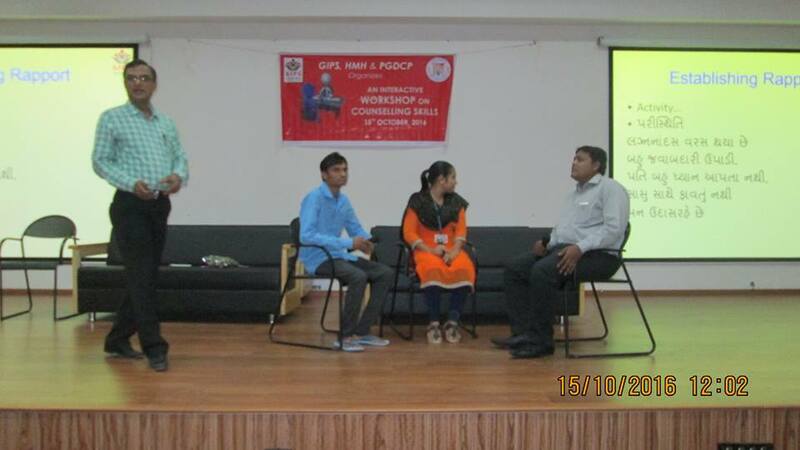 Sangeeta Chauhan and Mehul Patel more then 120 participants from PGDCP, St. Xavier’s College,Kanoria Hospital, CU shah College had participated in the workshop. 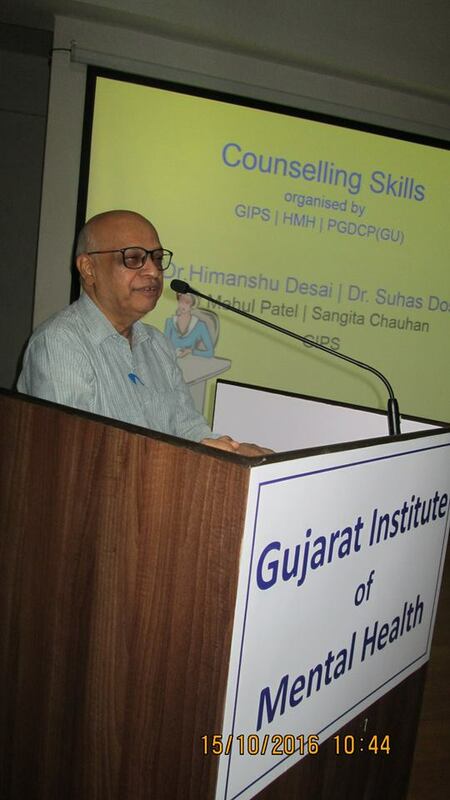 Dr. Jansari,Dr. 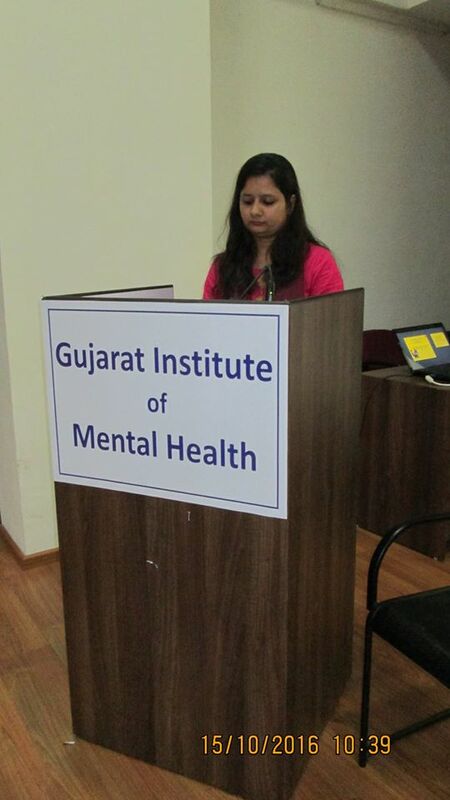 Shrdhhaben,Dr.Harshaben Rakhasia,Dr. 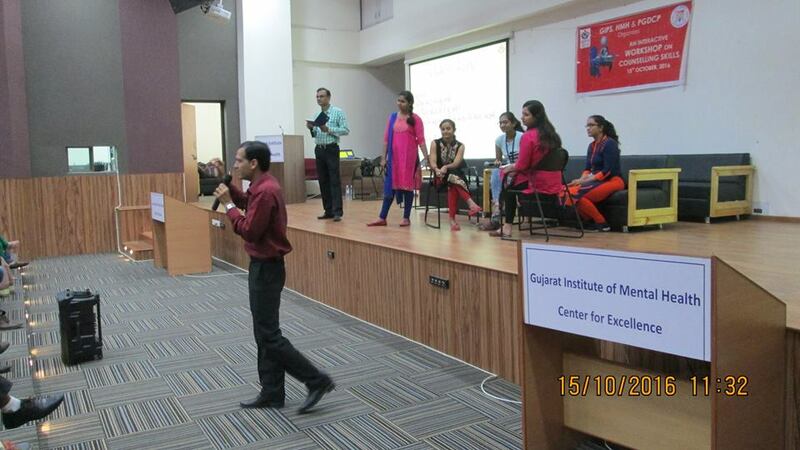 Kathiyara were there during workshop.